Apple has sold a billion iPhones. Aurum Edition does luxe makeovers for an average of 30 iPhones each month and returns them to the owners in handcrafted wood boxes. Customized and precious runs between $2,200 and $4,400. There are a number of jewelry and precious metals companies that will gold-plate and bejewel our gadgets, but few are likely to have the humble origin story of Aurum Edition (Aurum is the Latin word for gold). Lischina taught himself the gilding process in a poorly ventilated garage with one lightbulb in Kiev, Ukraine. The spark of a dream came in 2005 when he bought a beat-up Nokia 8800. New, the Nokia cellphone was out of his price range. Lischina settled for one on eBay that worked but had a cracked screen and a housing full of scratches. He pulled it apart, replaced the glass and polished it to look like new. Eventually, a friend offered him four times the amount he paid for it. Lischina then set his sites on the iPhone 2G, which he acquired, again on eBay. He said it was love at first sight, but the phone wasn’t unique to him. Again, a search on eBay, this time for a kit that included a frame and gold-covered buttons to encase his iPhone. Still not satisfied, he asked a jeweler to create the bitten Apple logo in gold. Lischina loved it and it wasn’t long before a businessman pestered him to sell it to him. So he replaced the phone with the iPhone 3G and tricked it out with a matte black finish accented with gold on the buttons and logo. 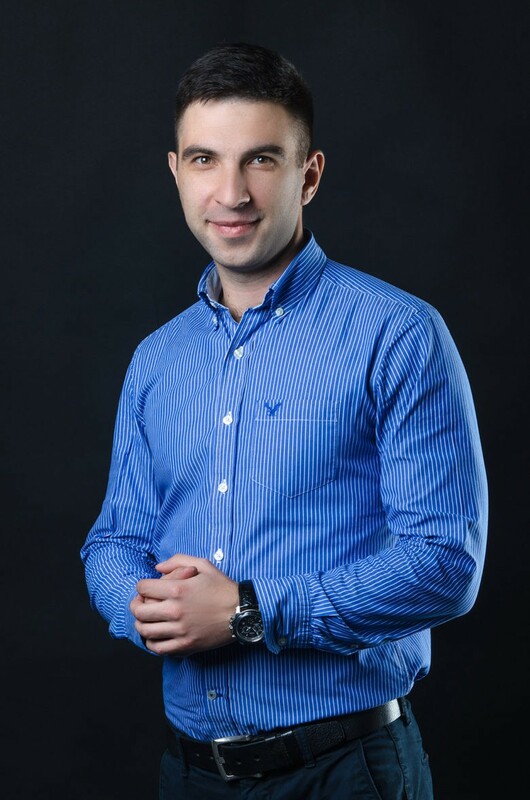 Aurum Edition founder Dmitry Lischina. Within 24 hours, a person saw it and offered to buy it. It was then Lischina decided to turn the hobby into a business and soon began researching gilding technology and methods. He learned the process of applying gold to other surfaces from books, YouTube and talking to engineers. He left his job in the aircraft industry and with the little money he had bought equipment piecemeal. He experimented and perfected his process from trial and error. Friends brought them their phones, but also keychains, pens and hard-surfaced home furnishings. Business also picked up thanks to eBay and advertising on Instagram. An iPhone shell on a lathe to prepare the surfacing for gilding at Aurum Edition. The person he sold that first Nokia smartphone to returned to Lischina to have him plate it in gold. Business was brisk from his garage as he found himself filling all sorts of requests for the iPhone 3, then iPhone 4 and 4s. There were requests for gilded company logos, and businessmen who carried Blackberries paid him to cover them in gold. 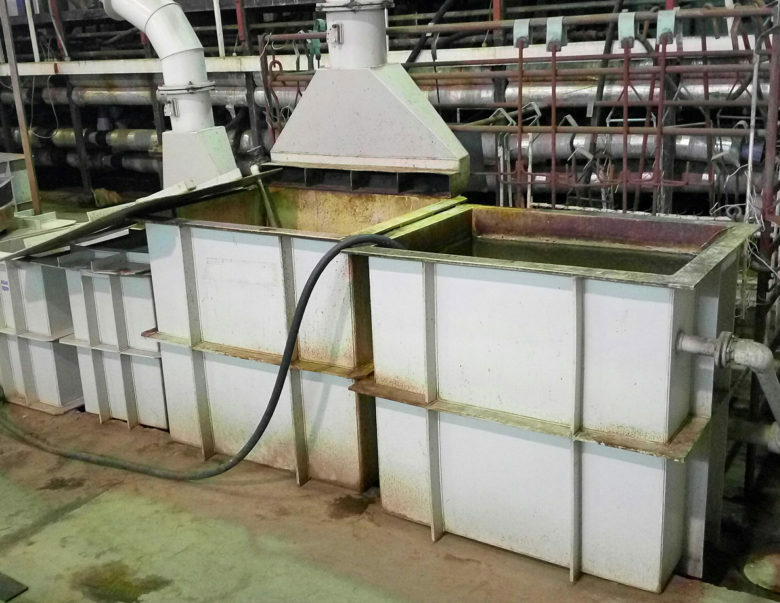 Baths for the plating process at Aurum Edition. Then came the iPhone 5 and a sudden snag in his business. The gold would not stick to the new aluminum in the phone’s housing. None of the online resources he leaned on could help him, but he soon figured out the problem had to do with water. To coat the stubborn aluminum on the 5 required many layers of gold coating, which needed large volumes of water, more water than he could get running from a hose from his house to the garage. It took him 10 months to perfect the gilding process of an iPhone 5. By then, the 5s had been released. To fill orders in any volume, he had to get out of the garage. He found a well-ventilated space in Kiev that could house his growing set of equipment, which including a laser engraver, washing and polishing devices, molding equipment, and tools for fine jewelry and leather work. To keep up with orders, he finally hired one assistant and now has 12 employees, who are engineers, machinists, designers and artists. 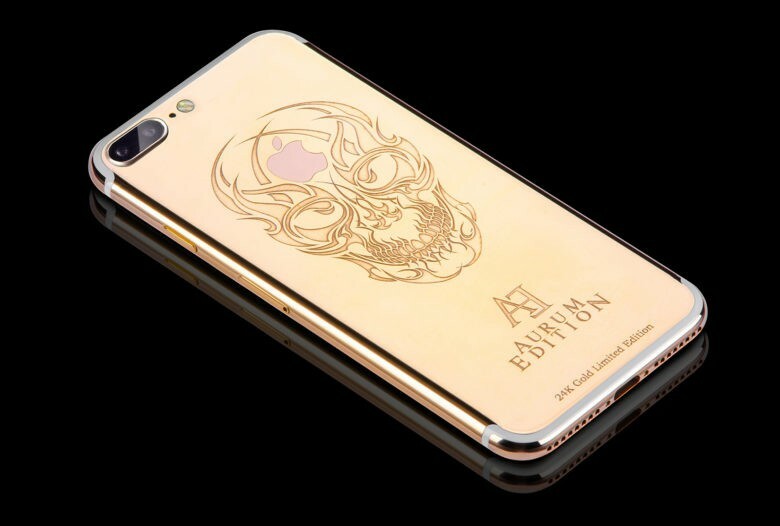 A gold-plated iPhone from Aurum Edition. His most valuable associate was an elderly man who worked in industry as an expert in galvanic processes. It was this man, through phone consultations that sometimes happened in the middle of the night, who helped Lischina refine his technique for the most recent aluminum surfaces. This silhouette of a dragon shaped like the number 8 has been popular with customers. 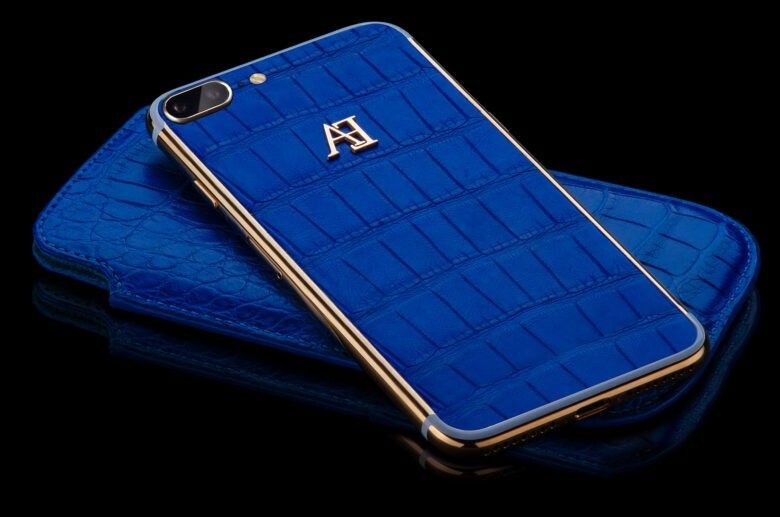 Python and ostrich are two of the exotic skins available for customizing the iPhone. Since the iPhone 6, Aurum Editions has introduced new materials to its customization services. Phones and other devices can now be coated in yellow and pink gold, or receive a veneer of carbon fiber, wood, leather, and topped off with diamonds and other jeweled accents. Lischina has also experimented with additives that strengthen the gold layer against wear and tear. 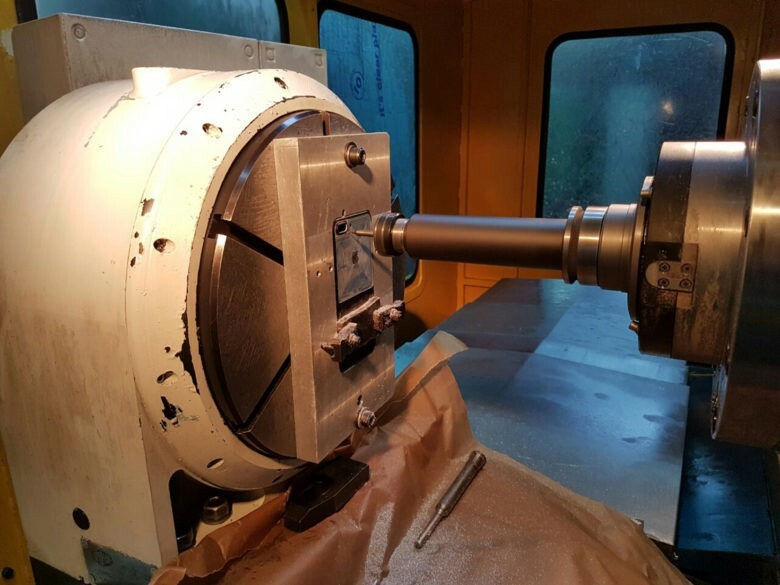 The company only uses parts supplied by the factories that make the iPhone, Apple Watch and the other gadgets it will customize. 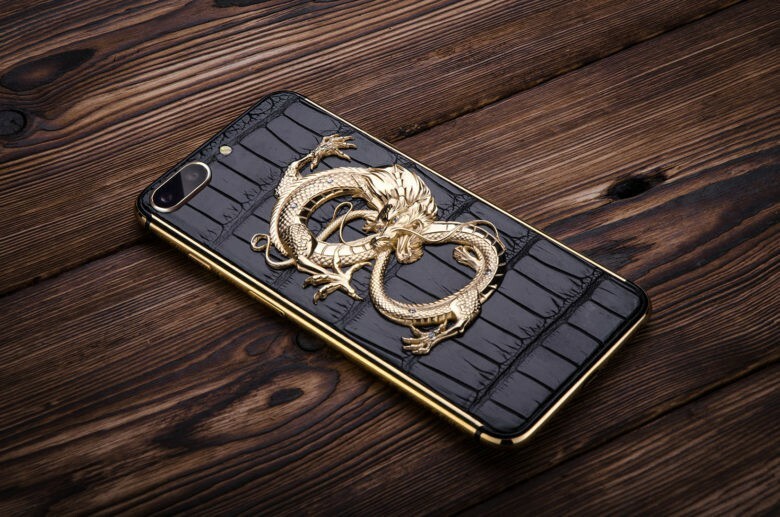 Aurum Edition does get several requests for phones to be finished with the company’s design of a silhouette of a dragon shaped like the number eight and finished with eight diamonds. They will soon add Tiger and Wolf symbols for order.